On behalf of Burt Watson Chevrolet, Inc. we are proud to introduce our Full Service Body Shop Repair Facility. Our staff is Fully Licensed and GM Certified in the repair and restoration of damaged vehicles. We provide professional estimates and repairs for all major insurance companies. "You make the choice for your repair facility", and Burt Watson Chevrolet, Inc. is best prepared to perform your repairs. Customers have brought to our attention that there are some insurance companies who are telling our customers that they can only take their vehicles to 'certain facilities' for collision repair. Customers continue to mention that they are being forced to have collision repairs performed at distances away from their homes and places of employment, at great inconvenience. Michigan Law clearly states that the owner of said vehicle has the right to choose any repair facility they prefer to perform collision repair. It is unlawful to be coerced or steered otherwise. Only possible repair facilities may be mentioned. MOST insurance companies only require ONE estimate for the repair. "Your Right to Choose" "It's the Law"
You are entitled to choose where your vehicle will be repaired. Your insurance company may provide you with a list of possible repair facilities, but the repair facility you choose is your choice alone. Through the sales and service processes we have earned your trust and faith in our dealership. We want to continue providing you with the best quality of service possible, by offering new information and discounts through our Fully Licensed and GM Trained Service/Parts Department and our Fully Licensed and GM Trained Body Shop Repair Facility. 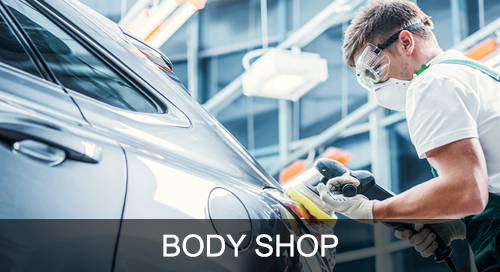 When considering the service needs for your vehicle, and in the event that Body Shop repairs are required, we would love for you to choose Burt Watson Chevrolet, Inc.